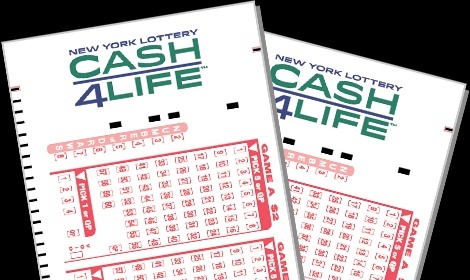 Brooklyn, NY - The New York Lottery today announced one top-prize-winning CASH4LIFE ticket was sold for last night’s drawing. The ticket, worth $1,000 a day for life, guarantees the winner a minimum payout of $7 million. The lucky Quick Pick ticket was sold at the Foodtown Supermarket (BLES Broadway Food) at 1291 Broadway in the Bushwick section of Brooklyn. The winning numbers for the April 4 CASH4LIFE drawing were 03 – 06 – 08 – 09 – 35 and Cash Ball 04. The winning CASH4LIFE numbers are drawn from a field of one to 60. The Cash Ball is drawn from a separate field of one to four. The drawing takes place every Monday and Thursday at approximately 9 p.m.
A Lottery draw game prize of any amount may be claimed up to one year from the date of the drawing. Is this in a Jewish neighborhood? We should see if any of our regulars stop posting.